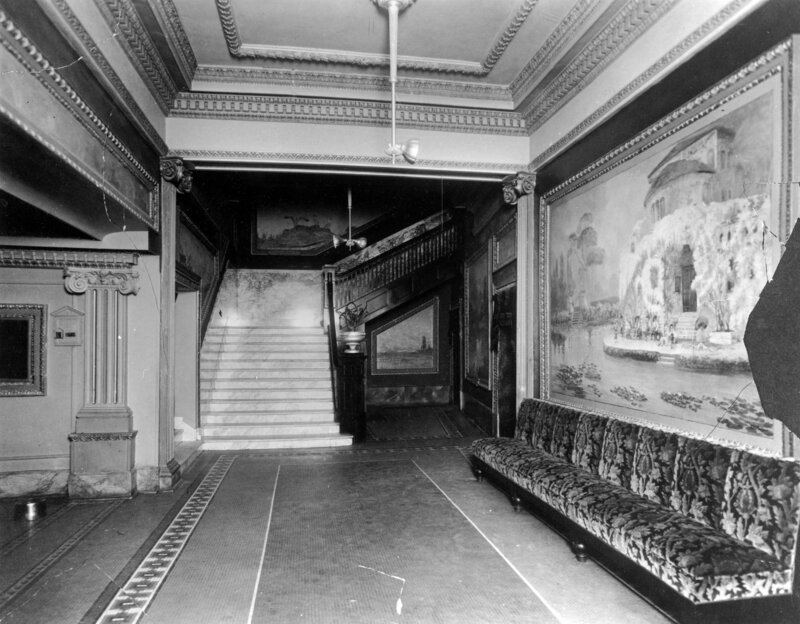 Description North foyer of the American Theater, Oct. 24, 1922. BAD 8x10 neg. (don't use). Shipler Comm. Photog. #22085.